We knew Universal had designs to beginning a Marvel-style cinematic universe based on its classic stable of monsters; supposedly the inaugural movie was going to be the aptly titled The Mummy: The First Monster in 2016. But apparently Dracula Untold has been retrofitted to be the birth of the monster-verse. 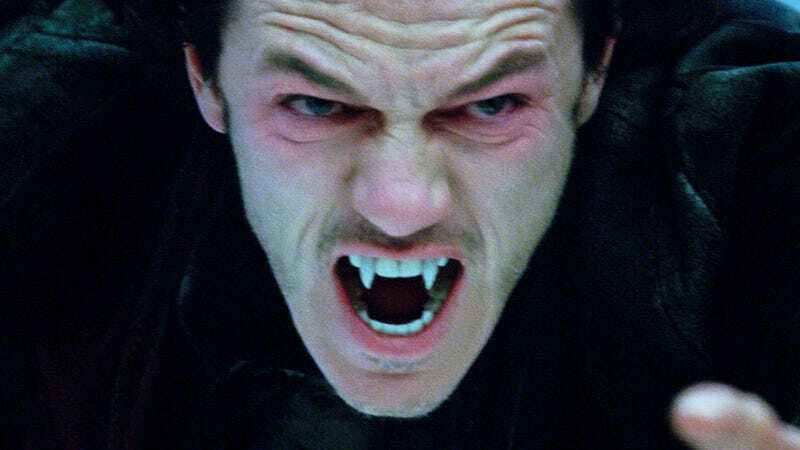 "A few months ago sources told me that Universal did some reshoots on Dracula Untold in order to allow it to fit into the larger Monsterverse, and word from junketeers who have seen early screenings backs this up. I don't know what they have included in the film, but they have put some elements in that will allow the studio to tie this movie into the new initiative." I can see a problem here, and that problem is by all accounts Dracula Untold is terrible. It's currently rocking a 14% on Rotten Tomatoes — sure, there are only seven reviews in, but it doesn't seem likely that the movie will be rocketing into the "Fresh" category any time soon, either. But apparently the additions are slight enough that Universal can ignore them if it the movie bombs, which means we'll be probably getting another Dracula reboot in 2017 or so. Wheeee.